Zurich has always been considered a financial city, or a point of departure for idyllic day tours to the mountains. 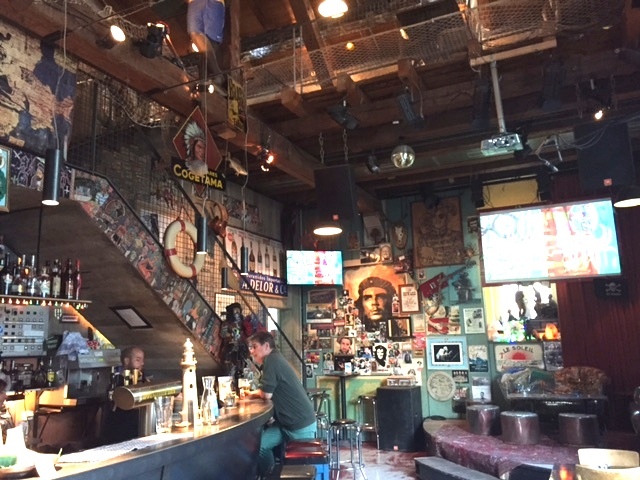 Since few years, Zurich has become a completely different city, full of cool spots. A city that now also gets the attraction of the hip young-ish crowd. We have been there in July and experienced this vibe. We were lucky, the weather was just unbeatable. Our objective was to visit as many places as we could in a weekend, and we did a pretty good job. Zurich is relatively small, with a great transport service, so you do not have to worry, you will get to do everything. Warning: Be ready to spend some extra bucks, Zurich can be really expensive. 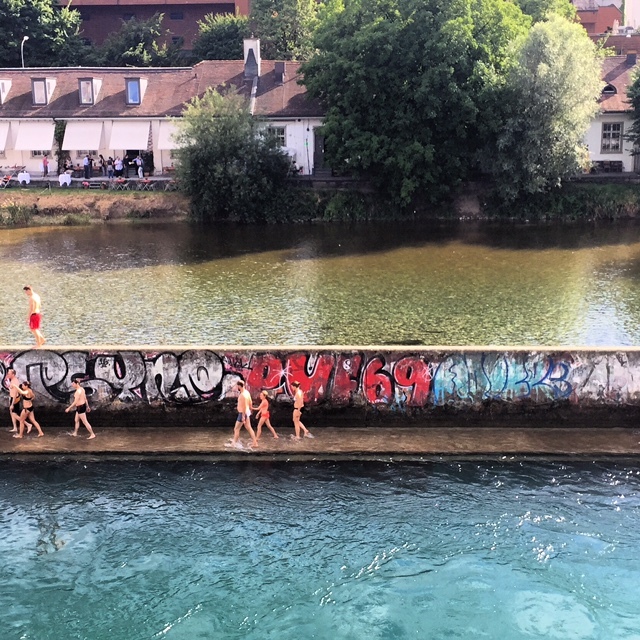 A spot in front of the river to have a drink and swim if it is hot. Just in front of Primitivo, another great place is Panama, good cocktails! 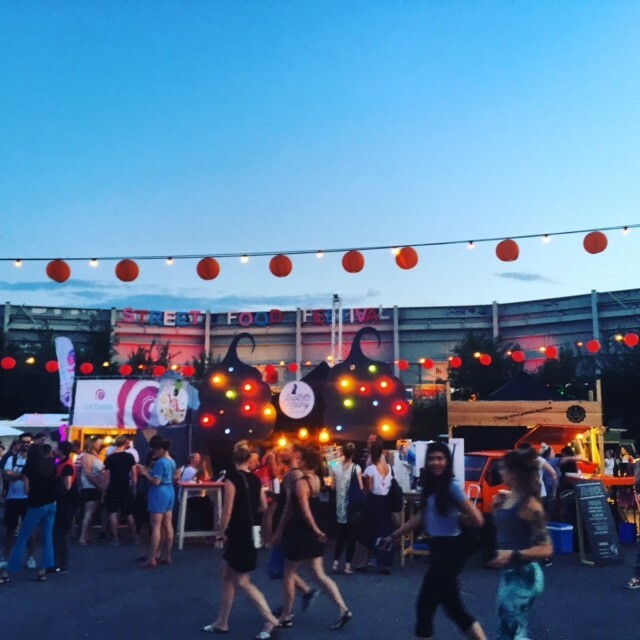 Great summer spot for healthy hipster food and drinks! 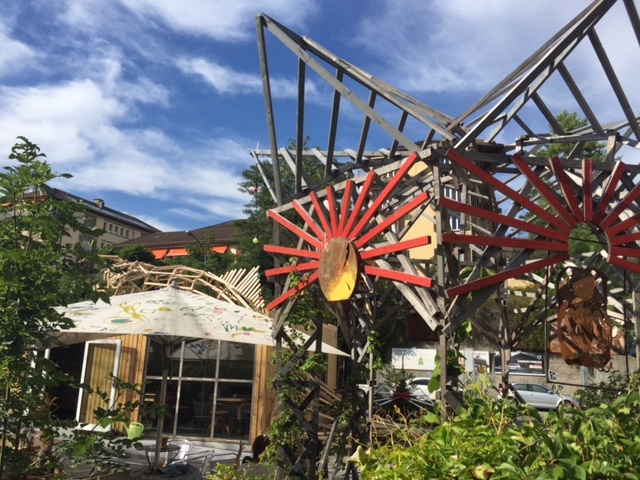 Behind it, there is also Dynamo Jugenkulturhaus, a contemporary arts centre with live music & theatre performances, plus workshops, classes & dining. Worth to check! This is a great option to swim! It is a public swimming bath. Great for solo travellers as there are lockers to leave your stuff. Also good for families as there is a big park behind with a little swimming pool for kids and games! 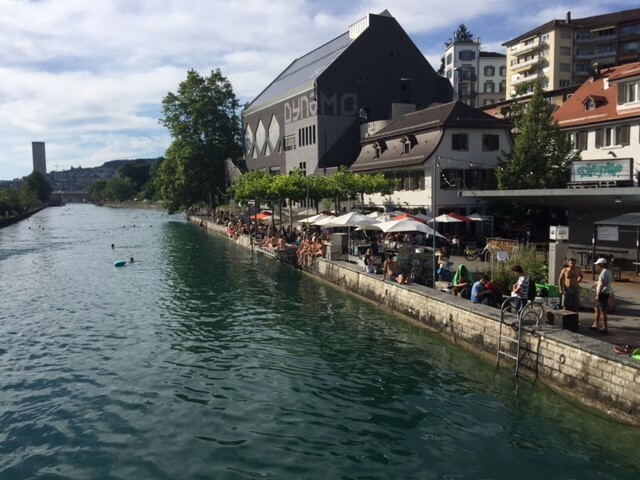 Public swimming bath in Zurich: view from the other side on our little spot! 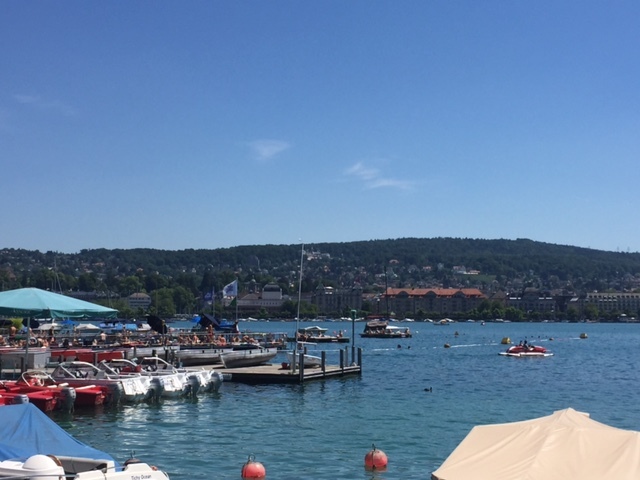 Although the river is quite interesting and full of great spots where to swim, sunbathe or simply have some drinks, another good spot where to enjoy the sun is in Lake Zurich. A tiny and relaxed place where to have some light lunch is the Snack Bar Enge Kiosk. Beautiful view, comfort food, plus a swimming area just in front of it. I was told that in the Park Arboretum.. the young crowd gathers in summer for drinks before heading to the nowadays trendiest area, the one ever scared Zurich West. 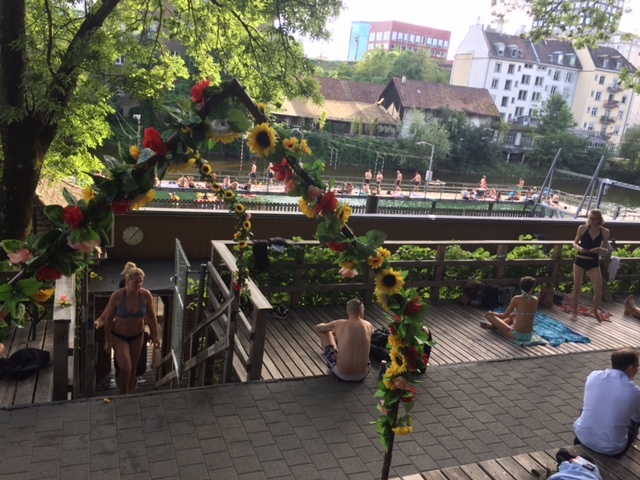 Badi bars are open-air bars. A number of riverside and lakeside bathing facilities are transformed into bars on the water’s edge in the evening. A really cool concept! Rimini is one of them. A bit fancy as it is in the business area, mainly popular for after-work drinks, with a pool that is actually made with the water of the lake. 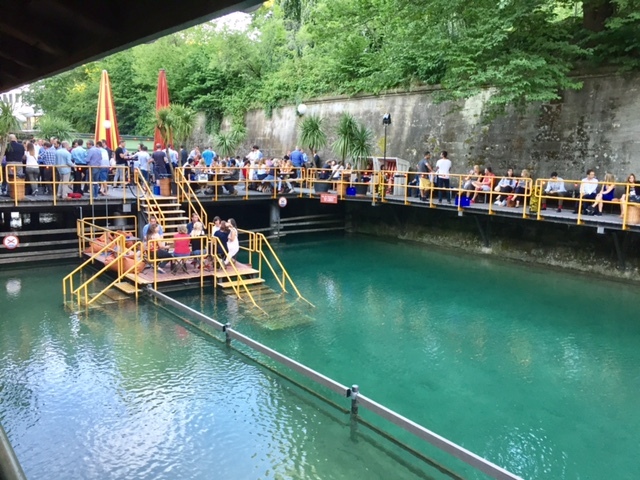 Other great Badi-Bars to explore are Seebad Enge, Kiosk, Kleine Freinheit. Primitivo is also considered a Badi Bar in the evening. The trendiest new area, once rough, now cool. The ‘Kreis 5’ (this is how this area is called) is full of new great places to explore. A former industrial quarter that became the hippest area where to shop, admire art, have some drinks and food. 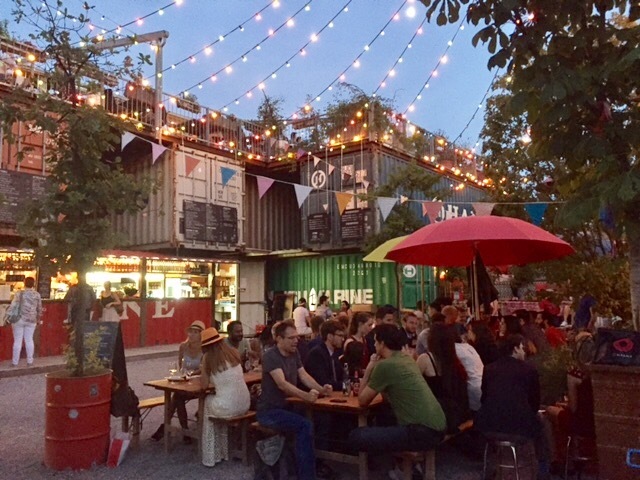 A hip outdoor bar. Old shipping containers house the two bars and the kitchen. Worth to see it. Perfect for a summer evening. Ex industrial refurbished area, located behind the railway viaduct built in 1894. More than 30 trendy – and pricey- shops and a market hall. 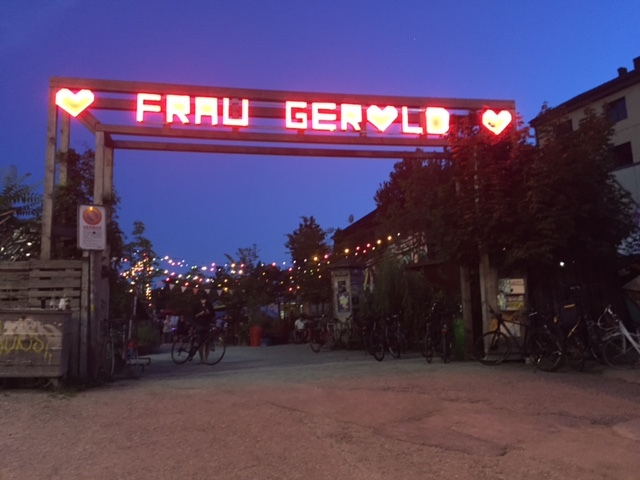 A 9-minute walk from Frau Gerolds Garten. 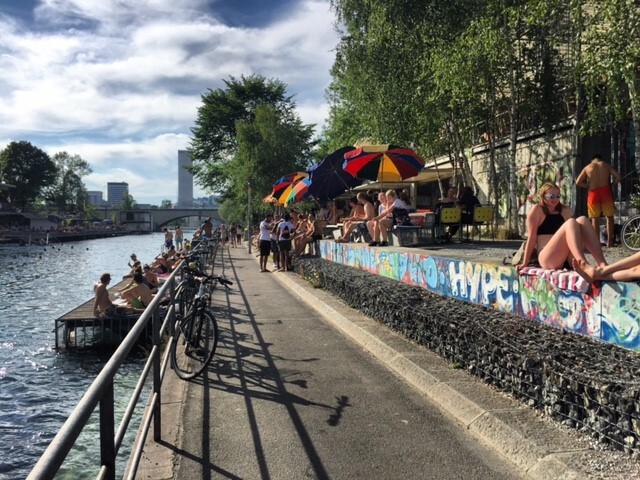 It runs between the bank of the river Limmat and Hardbrücke station. 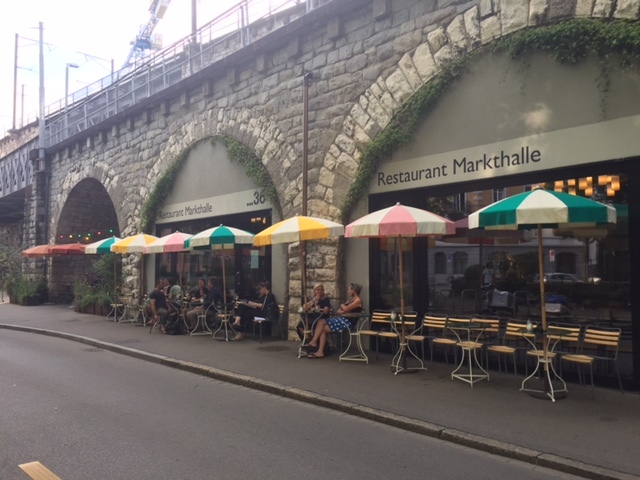 Zurich does not hold many regular street markets and we were quite lucky to be in the city at the time the Street Food Festival was being held in July! Amazing food offer at the Hardturm. We had a mix of Peruvian, Tunisian, and German delicacies 🙂 Do not worry, another festival will run in September. 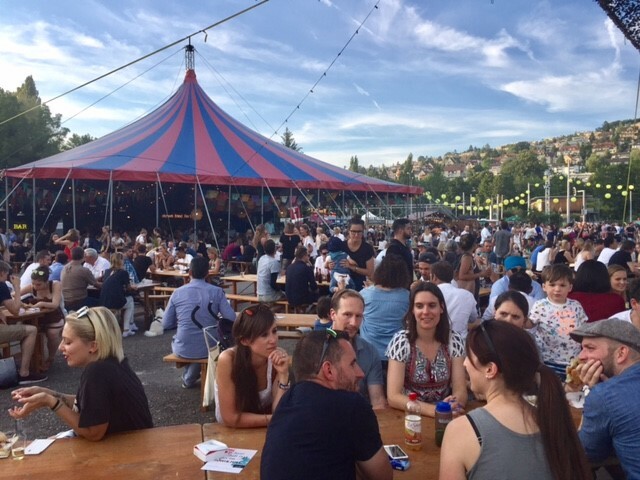 For more information about this festival and for more cool things to do in summer in the city visit the Zurich Tourism website here.